The hall with calm atmosphere in white tone. Enjoying the advantage of easy maintenance, we use ceramic for the floor to improve the texture. 2nd Cafeteria entrance that offers a open environment. The general store on second floor was also refurbished. All ceiling lights were changed to LED for energy saving and easy maintenance. 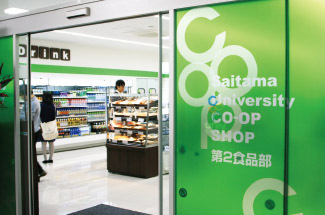 Saitama University Co-op facility, named “Student Support Center” was opened again after refurbishment. It is located near the main gate of the university. There is a nearby bus stop (bus is the main means of transportation to Saitama University). 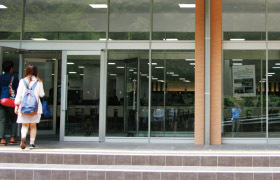 Student Support Center is one of student welfare facilities, which also acts as the face of Saitama University. The co-op facility was aging with old kitchen equipments and not-so-user-friendly cafeteria. Saitama University Co-op has been offering a proposal to renovate this building. Combined with seismic reinforcement work, the proposal bore fruit. Co-op members warmly welcomed the renovation. The university decided to open a full-service restaurant for faculty with co-op was entrusted for its operation. 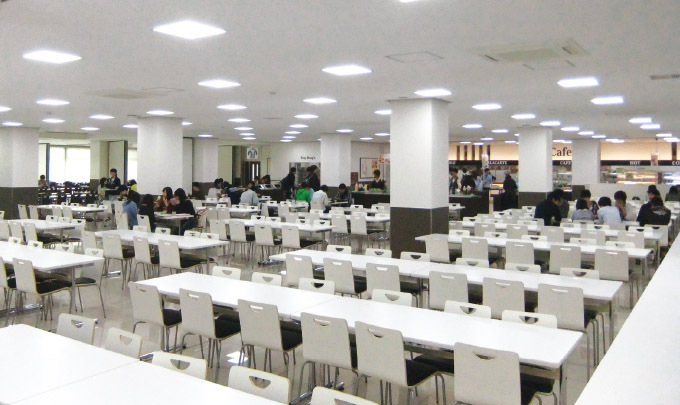 Although it has only around 50 seats, the different price and menu pose a challenge for Saitama University Co-op. Supported by members, the university co-op’s board of directors is prepared to make efforts to meet the expectations of the university. The line of flow in cafeteria lane. The newly built restaurant for faculty, near the hall. There are 120 seats available at the terrace with wooden furnitures and floor. 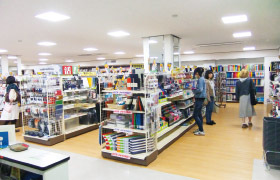 Life Center provides a wide range of products, from stationery and information equipments to food (including lunch boxes and beverages). Travel Center, which deals with tickets, accommodation, etc. as well as driving school, is also located at Life Center. 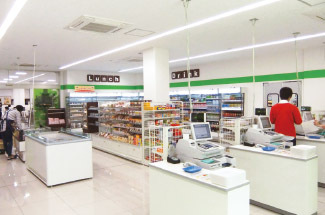 2nd Food & Beverages Store, adjacent to cafeteria.